Going to hospital? Find out what questions to ask and what support is available. If you have private health insurance, there are some simple ways of making sure you’re fully informed before your hospital visit. In the time leading up-to your admission, it’s a good idea to prepare a list of questions for your doctors and health insurer, and find out about support services that can help make it a little bit easier. Questions time: What to ask? These questions should be top of your list when speaking with your doctor prior to your procedure. These will help you have the key information you need to make sure you’re as prepared as possible. Tests are an effective way to help you and your doctor or health care provider determine the problem. Equally, treatments and procedures may help to treat it. If you are unsure ask your doctor for greater details on why they feel this test or procedure is necessary for you. Find out how effective this procedure is, and how long the benefits usually last. Every surgery brings some risk of complications, so you need to understand how common they are. Ask your doctor if there will be any side effects to the treatment or if the test has a risk of providing you with results that aren’t accurate. Understanding whether this could lead to more testing, additional treatments or another procedure is important. 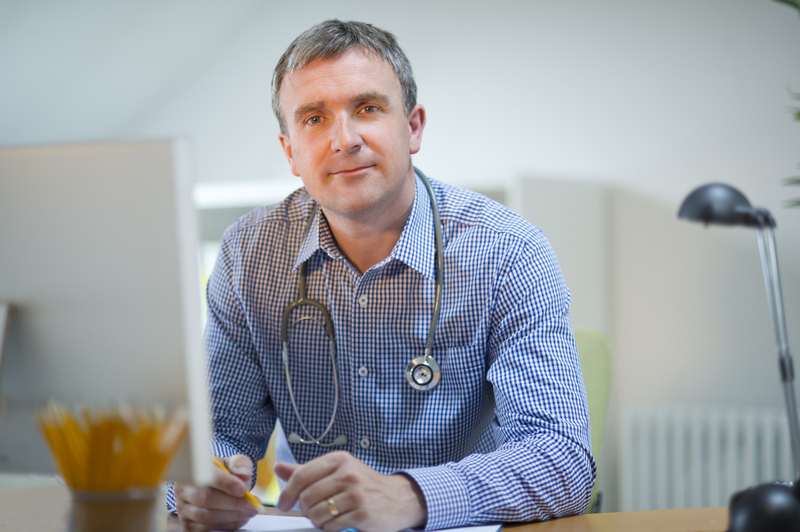 Your GP may be able to discuss these with you, but the specialist will have the most information. 3. Are there simpler, safer options available? Perhaps there are alternative options to the proposed treatment that might work. This could include making some lifestyle changes. Eating healthier foods or exercising more, can be safe and effective options. 4. What happens if I delay my treatment? Ask if your condition may worsen — or improve — if you don’t do anything immediately. Get a detailed breakdown of fees at the initial consultation with the specialist to avoid any unexpected out-of-pocket expenses. There can be a wide range between what specialists charge, but paying more doesn’t necessarily mean you’ll get better quality care. Ask about the fees that each health professional in the team will charge, such as the anaesthetist or an assistant surgeon. This is known as Informed Financial Consent. 6. What support services are available to me? If you’re going in for a significant procedure, you may need a little bit of extra help before or after your admission. There are lots of services available, from emotional support and counselling services, to nurse helplines and home help. Ask your specialist doctor and GP what’s available for people like you. If you’re an eligible Medibank member, you may also be able to access a range of services through Hospital Assist. Services include personalised phone support through Health Concierge#, and the 24/7 Medibank Nurse phone line+. For eligible members who’ve had a total or partial knee or hip replacement, you may also be able to access the Medibank at Home rehabilitation service^. Now that you’ve got the answers to the most crucial questions, here’s a few more worth asking your GP, specialist and Medibank. Why are you recommending this specialist to me? If your GP recommends a particular specialist, ask them why they’ve recommended them over others. If you know which specialist you would like to see, you can ask your GP to write a referral to them. You can also ask for an open referral – this provides you with the choice on where you present the referral or which specialist you want to visit. Find the specialists who participate in Medibank’s GapCover through the Medibank Find a Health Care Provider or call us on 132 331. Will my current lifestyle and health impact possible treatment? Be honest with your GP and specialist. Discuss whether you have any risk factors, such as obesity, smoking or diabetes, which might increase the chance of side effects or complications. Take some notes when you visit the specialist so it’s easier to remember what you discussed, especially if you’re seeing another doctor for a second opinion. You may like to ask: how many times have you performed this surgery? How regularly do you do it now? What is your complication rate? Will I need to stay in hospital and what will my recovery be like? Ask the specialist how long you may need to stay in hospital, what are the best available hospitals for your circumstances, and how long you’ll need off work. Ask what rehabilitation or follow-up is required, or if you’ll have restricted mobility in the weeks or months after surgery. Call us on 132 331 to find out if this procedure is included in your cover, and ask your specialist if they charge any additional out-of-pocket costs. How can my private health insurer help me post-procedure? Medibank at Home: A group of programs that bring hospital care into our members' own homes, providing them with choice and flexibility over where they receive their treatment including rehabilitation following a total or partial knee or hip replacement, and trial programs for chemotherapy, palliative care and haemodialysis at home*. CareComplete: A suite of programs for people with chronic and complex health conditions, including support to manage the transition from hospital to home, and help avoid readmissions to hospital**. Eligible Medibank hospital members can call the Health Concierge team on 1800 789 414 to speak to one of our health professionals. They can also call our 24/7 Medibank Nurse phone line on 1800 644 325 for any health concerns or questions+. *Gap Cover: does not apply to diagnostic services. Excludes public hospital covers and overseas visitor covers. Out-of-pocket expenses may still apply. # Health Concierge: available to all eligible Medibank members who hold hospital cover. Excludes Overseas Visitor Health Cover, Working Visa Health Cover and Overseas Student Health Cover (OSHC). ^Medibank at Home: must have eligible hospital cover, all relevant waiting periods must have been served and treating doctor must consider it appropriate. Out of pocket expenses may apply. Chemotherapy, palliative care and haemodialysis trials available in select locations. **Care Complete: available in most major metropolitan and regional areas. Not available in the Northern Territory. + Available to Medibank members with Hospital Cover. Members on Overseas Student Health Cover (OSHC) can call the Student Health and Support Line on 1800 887 283.